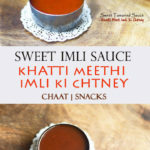 Sweet Imli Chutney is a versatile sauce/ chutney recipe made with soaked, boiled and mashed tamarind pulp seasoned with spices. 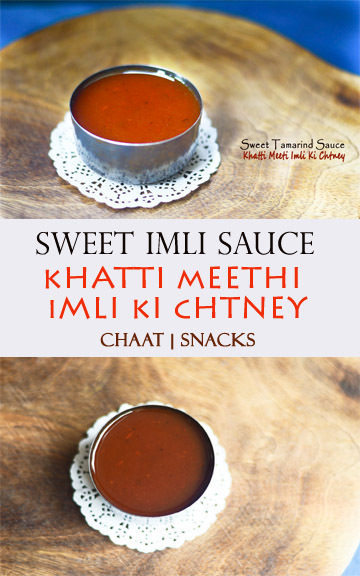 This sauce can be used for Chaat, snacks, Vada Pao and many more delicacies. 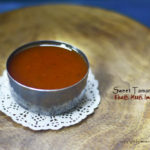 This recipe of Sweet Imli Sauce, is simple ingredients and a quick preparation make this recipe special. 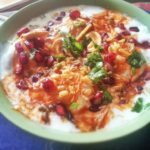 This is the perfect for your Dahi Bhalla , Chaat , Vada Pao, Sev Puri , Bhel Puri and many more dishes. 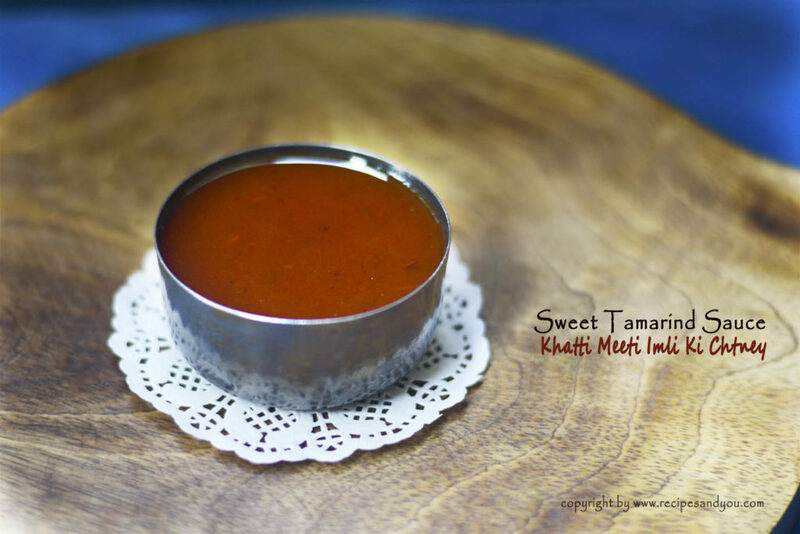 A perfect tamarind chutney for your fried snacks as well as chaat . Soak the Imli in 1 cup water for 2 hours. Mash it nicely, sieve in another bowl and keep aside. Add 1 cup water to the sieved mash again.Mash with your fingers again and drain again in the same bowl with the previously kept water. Now,add salt,red chilli,bhuna jeera,long cloves,red food colour,choti illaichi,dal chini,garam masala and keep it on boil on the gas burner on medium flame. Cook and let it boil for 15 min or till it is a bit thick.Add melon seeds and mix well.Add sugar and let it cook till the sugar dissolves. 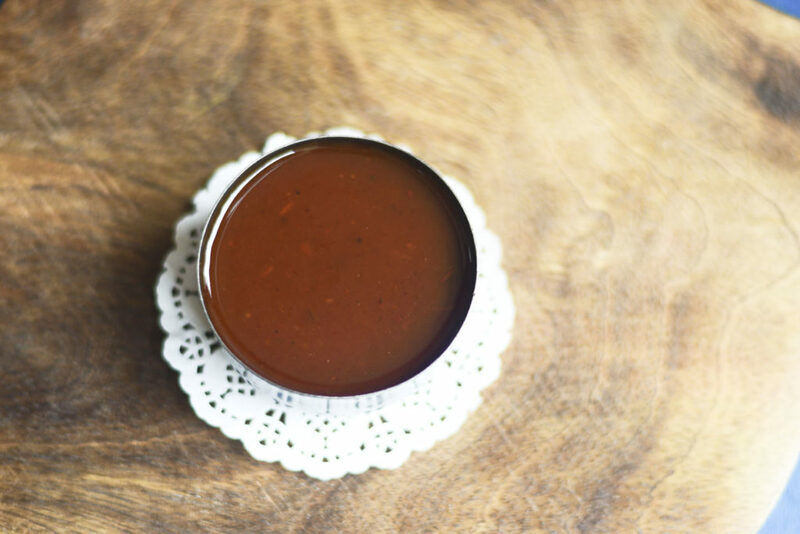 Tips: You can store this chutney in fridge for a week and in the freezer for about 2 months.To use just take out the needed quantity and microwave .Add a bit of water for the right consistency.